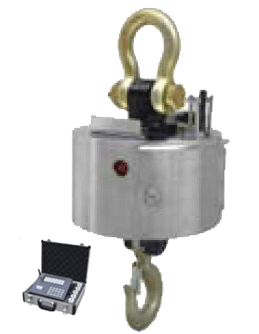 Heavy Duty Crane Scale with PDA is very effective and efficient to work in harsh environment. The Scale having a infrared signalling facility, which send the weighing data to digitizer. Ideal for industial weighing, Steel mills, furnace, EOT crane mounting, foundry and related weighing applications. Gross / Net / Zero, Date Time. Overload Warning, Lifter, Low Battery Warning.